Breaktime at work is usually my excuse to eat the heavier, fancier ice creams while night time is for more moderate ice creams. That said, I've actually been snacking on Market Pantry ice creams at work recently. Last week was cookie dough and this week is caramel waffle cone. Wait, did I mention that you can pick them up in pint sizes now? In the spirit of full disclosure, I did stick with buying the $3 1.5 quart containers rather than the $2 pints (I love me a deal! ), but I could see picking these up in a pinch, especially if you just want to try a flavor. 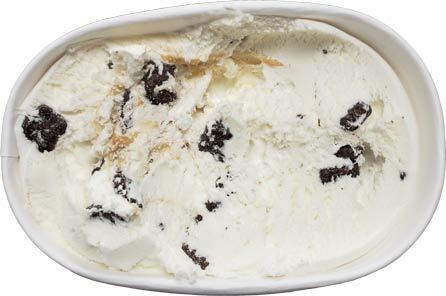 Don't ask me why moose tracks is listed for $1.19, but I'll probably get it when I go back. 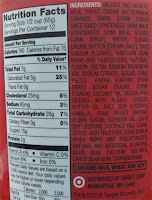 I'd probably rather test their cherry chocolate cake flavor in a pint rather than having to eat the entire container. Same probably goes for birthday cake. I'd love to see their crazier flavors make it to pints at some point, but we'll just have to see how this goes first. [Monster cookie will be available as a pint as well]. It can't go any worse than their last couple of pint attempts. So last week was all about the cookie dough ice cream. I don't have any pictures unfortunately, but I can tell you that it was a strangely light shade of yellow. That said, there is so much cookie dough is this fairly light (but not gummy) base that it makes for a fine snack, especially at the $3 per container price point. The base doesn't need to be amazing when there is a cookie dough chunk in every bite. Why every company doesn't realize this, I do not know. 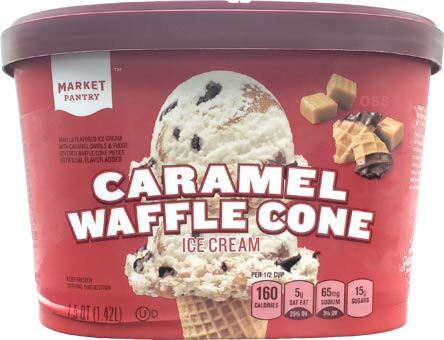 With that container gone and the urge for ice cream hitting me this past Monday, I decided to pick up a 1.5 quart container of Caramel Waffle Cone. I was leaning towards Monster Cookie but wound up getting this instead. Is it amazing? Maybe not, but look at all the giant chunks of chocolate covered waffle cone. They are good, not amazing, but you know what? You get one in every bite again. How does Target pull this off at three dollars? 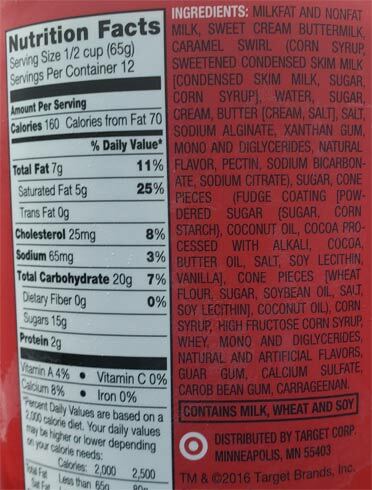 The base is very basic, but it's not gritty or gummy. The swirl is decent if unremarkable. With no serious strikes against it, throw in neverending waffle cone bits, and boom, another fine purchase at the $3 price point. Not perfect, but it's more than sufficient. 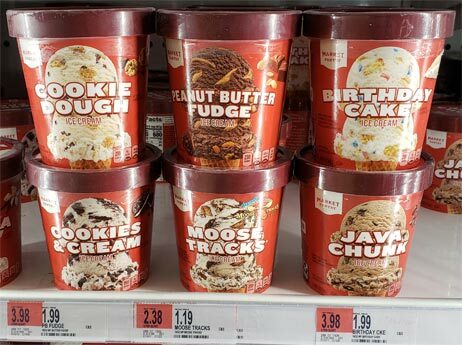 So yeah, Target puts out a cheap ice cream that I would easily choose over Breyers, Edy's, Hood, etc. Are you a fan? And if not, maybe it's time to try them again? I disagree on the Birthday Cake flavor. To me, it was flavorlesss. It tasted like water and very airy.